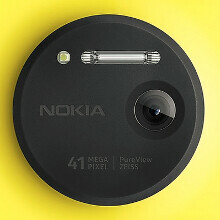 Are you getting the Nokia Lumia 1020? Given that Nokia managed to combine in the Lumia 1020 both technologies it has developed for years to rethink mobile photography from the ground-up - the 41MP PureView sensor and the OIS tech that helps it produce blur- and shake-free visuals, we can easily call it the best cameraphone ever created, or simply the best camera on a phone. So far, before the limited launch of Lumia 925, the choice was between the Nokia 808 PureView, which makes great photos and records awesome stereo sound, but is running the aged Symbian OS, or the generally available chunky Lumia 920 with OIS tech. Now that we have those goods combined in the Lumia 1020, and sprinkled with a second generation image stabilization suspension for the huge sensor, as well as pixel oversampling during video recording, not to mention all the manual controls in the Pro Camera app, we wanted to ask you whether you'd be considering the 1020 for your smartphone collection if that's the Nokia you've been waiting for. Phone looks good and what not, but I don't see it being worth $300 on contract. but here you have engineering marvels inside the lumia 1020 body 41mp is not a joke. it has OIS as 920 has also stereo recording. they slapped all that in one phone. it has a ZEISS lens too (6 lenses.first for a phone in the world) i say it costs more than that. and you say 300 is expensive? Second phone to have 6 lenses, actually. Plus, I'd never get it without Android. I want to give Nokia my money, but they refuse to put Android on their phones. So sorry, Nokia. Your loss. I'm not touching that crappy WP8. I got it as well...but one day, you ll get bored of rooting, fixing lags, tryng tons of ROMs, KERNELs to make you phone "customized" - customized i understand making android better. I dont want it anymore... Tablet yes, for some time will stay with Note8, anyway using remote desktop to winserver for all my needs... Phone - i want a stable, closed thing that makes calls and tahts it. Make nice pictures is a good reason to switch from android with this Lumia device! Selling kidneys for a phone really makes me laugh! ... only when put on the table or any other surface. Hahaha I would rather open source than closed and boring OS.....Stupid stupid Nokians! have you watch keynote of lumia 1020, watch whole then tell. lumia 1020 take huge mp photos and oversample it and make it 5mp or 7mp photo so u can post that photo with same clearity that u taken by huge mp. exactly. putting a significantly good camera on a cellphone is simply putting lipstick on a pig. it's still a pig. the phone has *nothing* compelling whatsoever outside of the camera. Image stabilization on a cellphone is pretty terrible in how it works in general, windows phones are pretty terrible in how behind they are in general, and who would want to support MS when they openly support NSA spying and have only taken over nokia with the intent to either acquire them or tear them down? (the latter being what's happening since Elop being the CEO plant). Make one running Android or not that many people will buy it. Also need to release it in the U.S. on more than just AT&T. Such opportunity wasted. The only reason to purchase this phone is for the camera. In that case, I can purchase a DSLR and just take even better pictures with it, for around the same price. Other than that, it really is just a regurgitated Lumia 900 series. They didn't go above and beyond making their phone top notch in any other hardware aspect other than the camera. Which is not good enough. There are plenty of competing smartphones with camera modules that handle themselves well enough, while doing pretty much everything else better. The asking price for this is kind of outrageous. Tell me, what DSLR body do you plan to get for this price? Nikon D3100? Canon Rebel T2? My Nikkor 18-200 mm DX travel lens alone costs more than the price of this phone. Also, you do realize that a DSLR won't fit into your jeans pocket, right? Even the cheapest prosumer body weighs 10x more than the Lumia 1020, and you don't get dual recording microphones, or stereo speakers for that matter... There is no better mobile smartphone multimedia recording and playback device on the market. This is as good as it gets, and it does cost money. Is it going to be worth it for you? I don't know - but for others, yes. Most people don't look for these perks, only audio and technophiles. Even a camera as is still be better than this, forget the detachables. My point is, if the only selling point and for that matter, pro, is the camera, then they need to step up their game. For a company trying to push themselves as a "challenger" to the market, they are sure pretty lackadaisical when it comes to the rest of their product.